MoonProject – Spectre review – does it live up to Skyfall? You are here: Home » Featured » Spectre review – does it live up to Skyfall? Spectre review – does it live up to Skyfall? Starring Daniel Craig, Christoph Waltz, Ralph Fiennes, Léa Seydoux, Naomie Harris, Ben Whishaw, Dave Baustista, Rory Kinnear, Andrew Scott and Monica Bellucci. Daniel Craig’s era as James Bond has been relatively strong thus far. Both Casino Royale and Skyfall were very good instalments, in part thanks to two stand-out performances from Mads Mikkelsen and Javier Bardem respectively. Quantum of Solace was a huge dip in quality from the two, however being sandwiched between these two stellar films doesn’t help its case. For Spectre, it falls somewhere in between this spectrum. It isn’t as bad as Quantum of Solace, because here we have a better villain and great set pieces. However it isn’t nearly the standard of the other two Craig films, largely because any tension in this movie feels forced and the emotional stakes aren’t nearly as high. But before we go any further, we need to address the elephant in the room – the song. When Adele’s ‘Skyfall’ was released, the world was jubilant. This was by far the best Bond theme of all time and it worked even better with a great movie alongside it. We knew whoever was going to follow that song was going to have a tough time – but surely it didn’t need to fail that badly? The instrumentals in the song are actually decent, however it doesn’t make you think of Bond. But Sam Smith’s vocals and the lyrics just seem so out-of-place it made the titles intro feel very disjointed and out-of-place. 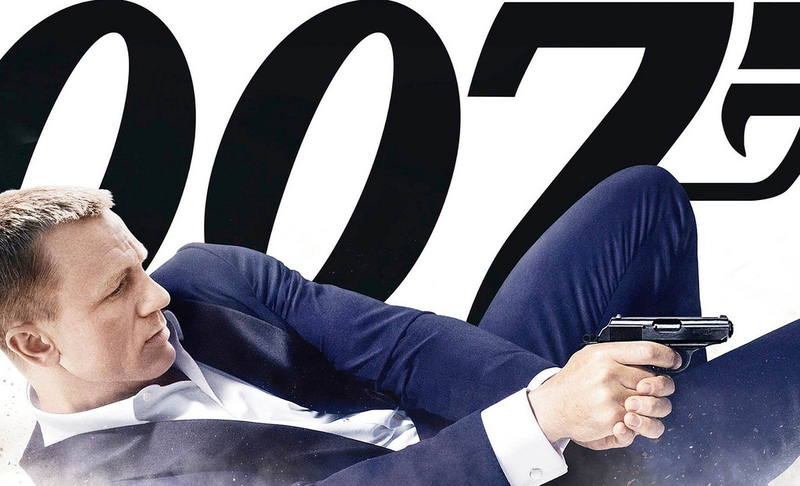 Maybe Adele should just have a license to make every Bond theme from now on. Unfortunately, Sam Smith’s song isn’t the only thing disjointed. The film begins with Bond following unofficial orders from a now deceased M (Judi Dench), sending him to Mexico to stop a plot to blow up a football stadium. Perhaps the films best set-piece comes from this intro. The people in the skull masks are relatively creepy and there is a breathtaking action sequence in a helicopter which gets the blood pumping. Much of this film is travelling from location to location, with Bond also spending time in Rome, Austria, Morocco and of course London. This is the biggest Bond yet, however none of these locations have that same awe-inspiring setting as Scotland did in Skyfall. A lot is down to the cinematography. Not that it’s bad here, as Hoyte van Hoytema is a very fine artist who’s previous works include Her, Interstellar and The Fighter. But it doesn’t have the same breathtaking feeling as Skyfall did, thanks to one of the greatest cinematographers in our history, Roger Deakins. As the film goes on, more and more is revealed about Bond’s past – both as a child and from the previous films. Unfortunately neither come off quite as they should. Without spoiling anything, a big reveal of Bond’s childhood doesn’t really pack the emotional punch it should. A lot of that is down to how cheesy the film is. Whilst the other three instalments of Craig’s era felt fresh and original, this becomes bogged down in the old Bond clichés and this moment is perhaps the most cheesy of the bunch. The moments of suspense feel much more forced. There’s a lot of tying together from the previous films, however it does so in a very patronising and in-your-face way. When mentioning the likes of Le Chiffre or Silva, their picture would always appear, whether it’d be on a wall or on a computer. The audiences, more likely than not, already remember these villains thanks to their brilliant portrayals. Speaking of villains, this is where one of the film’s biggest problems lie. Christoph Waltz’s Oberhauser is supposedly a huge villain, however he is nowhere near as menacing or fun to watch as Mikkelsen or Bardem were. Waltz is an incredible actor, just go watch his Tarantino collaborations. But here, he’s resorted to such a campy villain, he may as well have a white cat…oh wait – he does! There are a lot of characters in this instalment, some better than others. Craig as always does a good job and Ralph Fiennes is proving to be a gem in these movies. Léa Seydoux’s Madeleine is definitely the best of the new characters, as both a strong and charming accomplice to Bond. She also has the most emotional scenes in the movie and her tie-in to the franchise felt the most authentic. Bautista’s super strong Mr. Hinx is menacing but also very cliché, whilst the extremely talented Andrew Scott doesn’t really get much of a chance to shine, and his role would have been far more threatening had he been playing Jim Moriarty. Overall, Spectre relies too much on the old Bond clichés, which definitely weren’t as present in Skyfall. This is a decent outing and Bond die-hards will love it, but this is far from being the strongest Craig instalment.